He's been consistenly impressive in the Premiership, which has caught the eye of the Top 14's big-spenders Toulon. Leicester Tigers have annouced that Mike Ford has joined the coaching set-up on a short-term deal, showing their intent for the final few Premiership fixutres. That leaves the question after 'Consultant Coach' Ford leaves, who would they be looking to bring in full-time, and signs have pointed to Michael Cheika. According to French reports Josua Tuisova is in the process of finalising a 4 year contract with Top 14 rugby club Lyon for next season. He still has another year on his contract at RCT, but Lyon Olympique Universitaire are looking to buy him out of that and offer him a fresh start. Springbok back François Steyn is expected to return to Bloemfontein once his contract with Montpellier ends in June 2020. 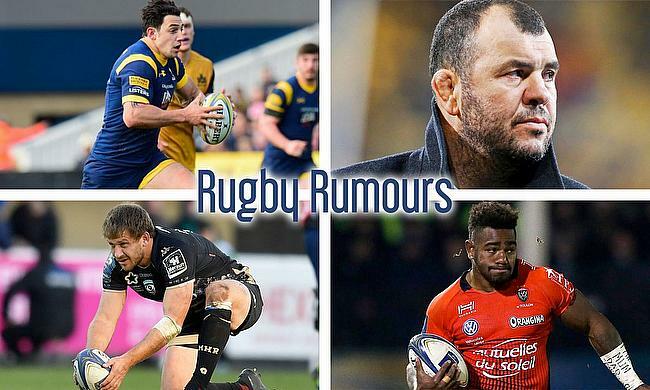 The 58 times capped South African is still playing high end rugby in France, but looks to make a comeback with potential club SA club Cheetahs.